The 1st edition of the Wildflower Film Awards Korea were held in Seoul on Tuesday night at the Literature House Seoul. Nine awards were handed out to the best Korean independent films released in 2013 with O Muel’s Jiseul picking up the top Wildflower for Best Film. Jiseul also picked up the Best Cinematography accolade for YANG Jeong-hoon. The Wildflowers were shared among seven films. The only other feature to pick up two awards was LEE Don-ku’s Fatal, which took honors in the Best Actor category for NAM Yeon-woo, and Best New Director. For Best Director, YEON Sangho was awarded for his sophomore animation The Fake. In the remaining performance categories JUNG Eun-chae was deemed Best Actress for her breakthrough role in HONG Sangsoo’s Nobody’s Daughter Haewon and MBLAQ member LEE Joon won the Best Newcomer award for SHIN Yeon-shick’s Rough Play. 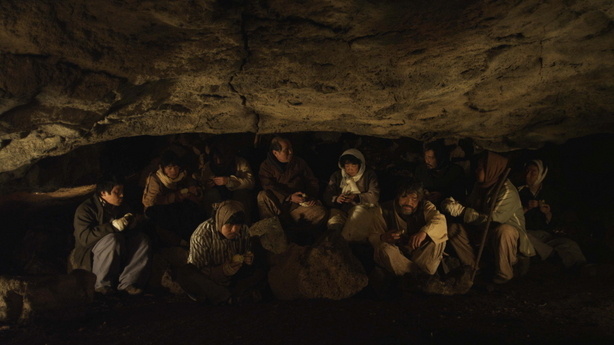 In the non-fiction categories, ZHANG Lu took home the Best Documentary Prize for Scenery, a feature length version of his short Over There for last year’s Jeonju Digital Project, while JEONG Jae-eun was given the Documentary Jury Prize for her work City: Hall. The eligible films for the inaugural Wildflowers, which numbered about 60, were all produced for under KRW 1 billion (appr. USD 1 million) and were released theatrically in 2013. The Awards were organized by Korean film critic Darcy Paquet, with the participation of film critic OH Dong-jin.